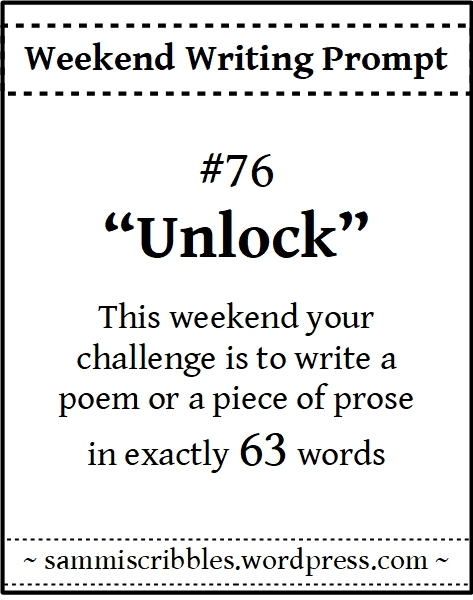 This entry was posted in Poetry, Weekend Writing Prompt, Writing and tagged unlock, words. Bookmark the permalink. Nicely done, Dale. Is this couple anyone I know? I dunno… what think you? Um. Seems like familar descriptions. Hi D – I really liked the way “she” was not given to fluff – I find that sometimes it is the other way around and never to gender stereotype – to have the man’s words “coloured in metaphors” was just a fresh approach for moi. Hey there Y, I am very glad you like that it is “she” not given to fluff… though, if you like to read Russian male writers – they are insanely given to fluff! So very glad it was refreshing to toi. Hell… don’t we all, to some point? Truly stunning ! Brava ! Direct, precise, to the point, is writing that is not at all easy. Dale I felt you were looking in on my life. I found many similarities to mine and the missus’ life. So all this to say, how realistic! Ditto as per John .. but I don’t know anyone with snark! 😉 … Dale, I like this one. Well done. So very glad you did… I had one I really liked while you were away… sometimes I surprise myself! Something tells me I know these people. or of them. 😉 Wonderful balance of honesty and what might be. Love it. Well I have to confess something to you here. I completely relate to this post! Like, it’s mirror image scary-like! This is (what’s another word for brilliant?) . . . perfect! Strong, bold, fearless and passionate. Okay, that’s four other words for brilliant. And four ain’t really ’nuff either! Ya know? You have a real talent for this whole writing thing. To unlocking the locked up places. You do, do you? Well that’s quite the coinkidink! Do I? I am pleased you think so. It’s not quite the wonderful 63 you turned into magical notes, but yanno. I thought so. You are a crafty, cheeky one . . you know that? Wonderful . . I relate to that sentiment as well. Lovely. Then we are in cahoots. May? What . . you keeping June, July and August out of this one? Cahoots is always more fun, dontcha think? I will comment before I read the others so apologies for repetition – Dale, this is a lovely piece leading the reader through the unfolding stages of communication with a stranger who becomes something more important. Snarky – great word. Thank you, Jilly. No apologies necessary, that’s for sure! I could picture this couple. It was a whole story in a few words. Your 63 words said so much more, Dale. To the point and lovely.